Classic and charming, our Ascot chairs are guaranteed to look stunning in any outdoor space. 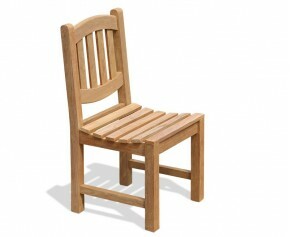 Featuring elegant oval backs and a finely sanded down glossy finish, these teak garden chairs are graceful yet simple. Made from the finest grade-A teak, our Ascot chairs can remain outdoor all year round in even the most inclement of weather conditions and are assured longevity and extreme durability. 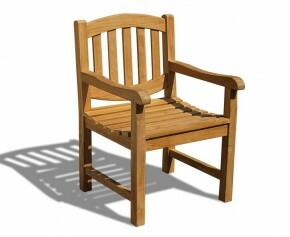 Take al fresco dining to greater heights with this elegant Ascot oval back teak garden armchair. Representing brilliant value for money, this oval back teak garden armchair offers a stunning focal point when teamed up as part of a dining set and works well to modernise existing garden furniture. Coming in a wide variety of styles, from classic teak garden chairs to our companion seats, you are sure to find the perfect styled Ascot chairs to suit your purpose. 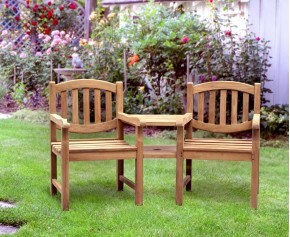 When teamed with our other garden furniture, these teak garden chairs make a stunning focal point but can also work as complimentary pieces to any pre-existing furniture. Choose from our selection of Ascot chairs.